Do you have a website which syncronises your products and stock levels with your till (ePOS) system? Stock is syncronised so if a product sells via the website - Vend is updated and if a product sells in store, the stock level on the website is adjusted automatically. What should I use for an ePOS till system? 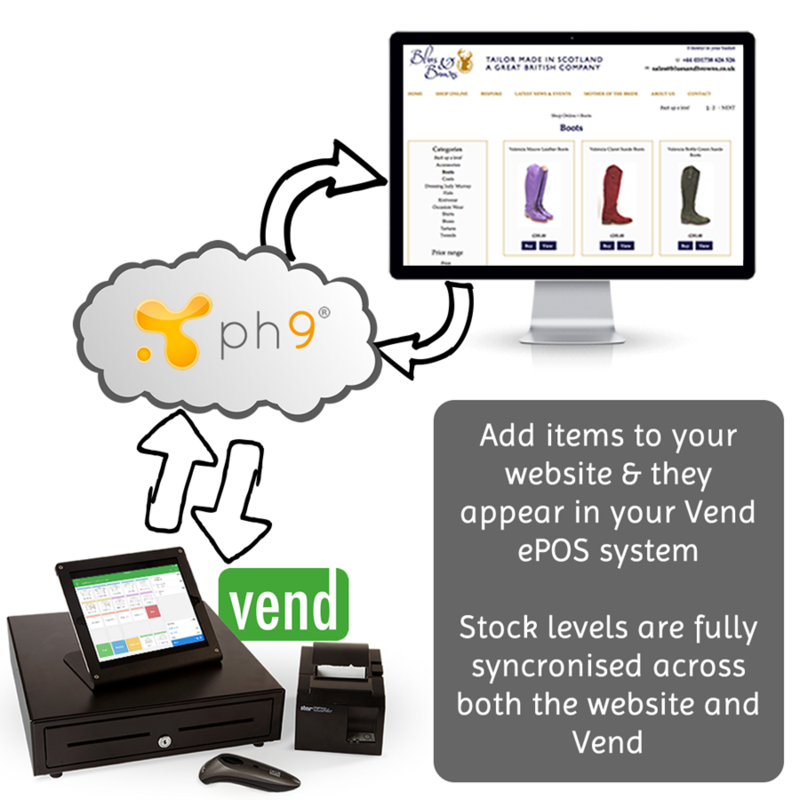 We recommend Vend's ePOS system. We've been asked a number of times to recommend an ePOS system to work with our websites so we are very pleased to be able to finally say in most cases Vend are the ePOS people for you no matter if you sell car parts, mobile phone accessories, furniture, clothing, pet food, or stationary a ph9 website integrated with Vend really takes the hassle out of keeping your stock, website and till system upto date. Our Vend bolt-on which integrates our websites with Vend starts from £295 / $420 / €385 with a small monthly fee.